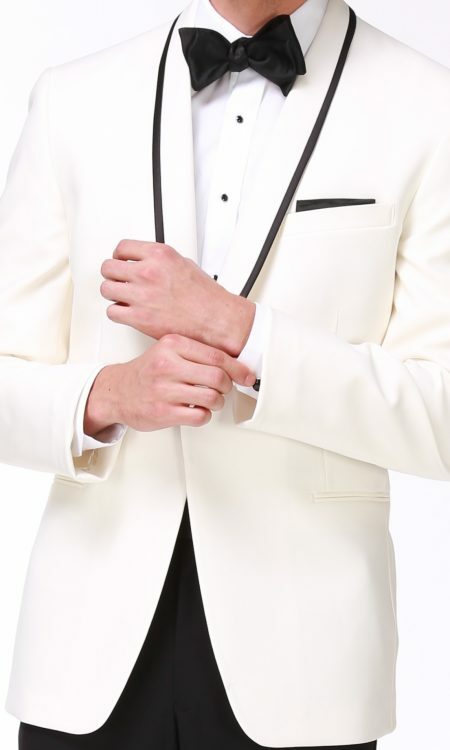 Ivory, one-button, center-vented shawl lapel jacket. Black satin trim on shawl collar with ivory satin trim double besom pockets. Superior comfort with 2” stretch arm gussets. 30.5” coat length. 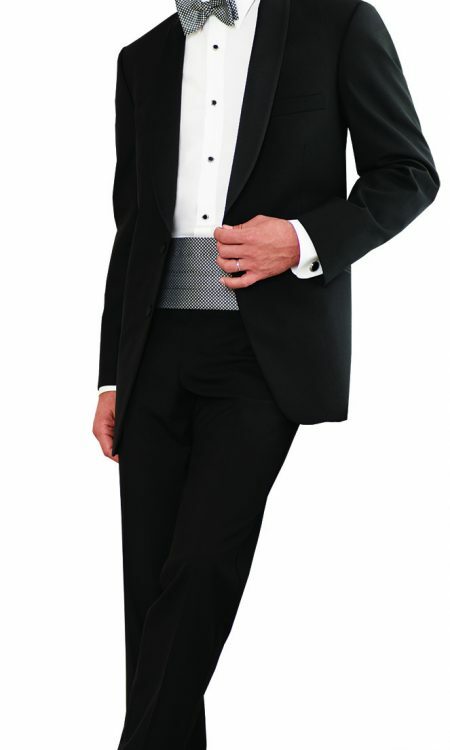 Black, two-button, non-vented thin shawl lapel jacket. Shawl collar is all satin. Black satin trim double besom pockets. 31.5” coat length. 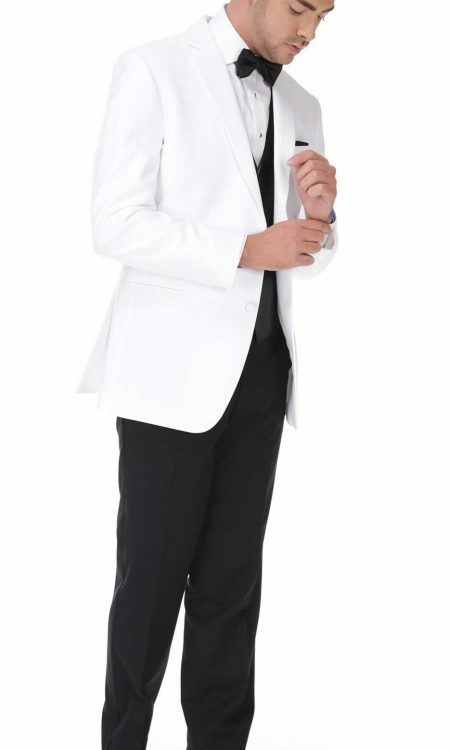 White, two-button, non-vented jacket with satin notch lapels and self-collar. Satin trim double besom pockets. 30.5” coat length. 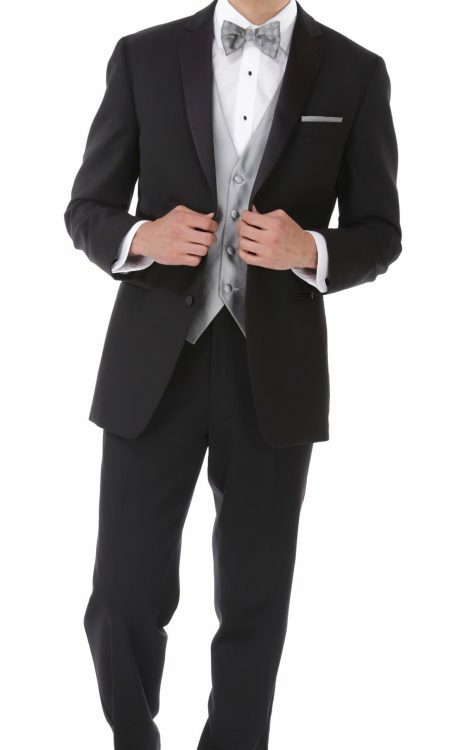 Black, two-button jacket with satin notch lapels and self-collar. Satin trim double besom pockets. Superior comfort with 2” stretch arm gussets. 31” coat length. Designed for today’s trim fit styling. The jacket is slimmer through the shoulder, chest, waist and sleeves. 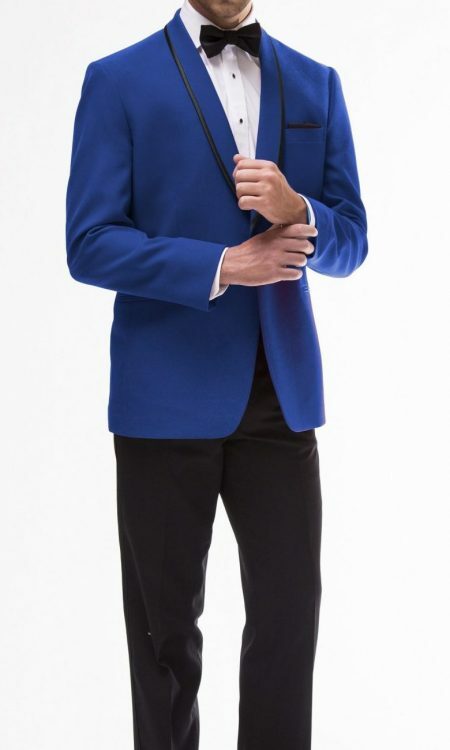 Royal, one-button, center-vented shawl lapel jacket. Black satin trim on shawl collar with self fabric double besom pockets. Superior comfort with 2” stretch arm gussets. 30.5” coat length. 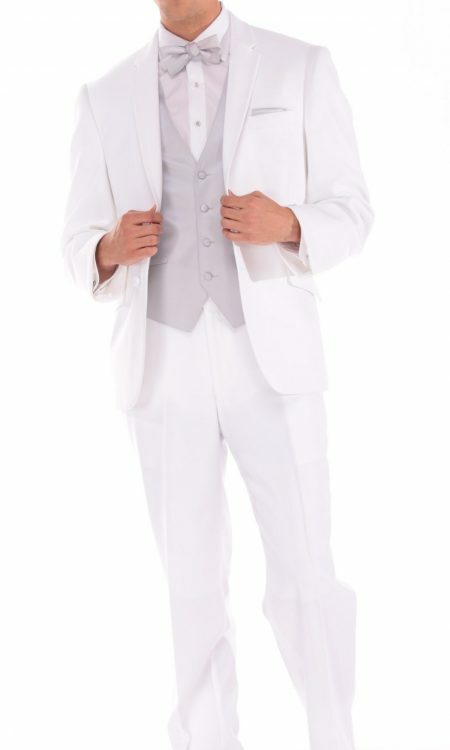 White, two-button, side-vented suit jacket with notch lapels and stylish ticket pocket. Lapels have fashionable pick-stitch accents. Self-fabric flap pockets. 30.5” coat length. Get monthly updates on our new arrivals and deals.